(Natural News) Regardless of your age, exposure to air pollution will negatively affect your health. According to a study published in the journal Environment International, simply being exposed to air pollution is also associated with an increase in reported emergency department (ED) visits for different types of heart and lung problems. Dr. Jenna Krall, the study’s lead researcher and Assistant Professor of Global and Community Health at George Mason University (Mason), worked with other scientists from Emory University, Georgia Institute of Technology (Georgia Tech), and the University of Pittsburgh (Pitt). The results of the study revealed that exposure to specific types of air pollutants – like ground-level ozone and nitrogen oxides that are produced by burning fossil fuels – can cause increased ED visits. Instead of being emitted directly into the air, ground level (tropospheric) ozone is formed because of chemical reactions between oxides of nitrogen (NOx) and volatile organic compounds (VOC). These chemical reactions take place when pollutants emitted by cars, chemical plants, industrial boilers, power plants, refineries, and other sources chemically react when exposed to sunlight. While ozone is most likely to reach unhealthy levels on hot sunny days in urban environments, it can also reach high levels during colder months. Since ozone can be transported long distances by wind, several rural areas may experience high ozone levels. Nitrogen dioxide (NO2) is one of a group of highly reactive gases that are called oxides of nitrogen or nitrogen oxides (NOx). Other nitrogen oxides include nitric acid and nitrous acid. NO2 primarily pollutes the air when fuel is burned. NO2 forms due to emissions from cars, buses and trucks, off-road equipment, and power plants. 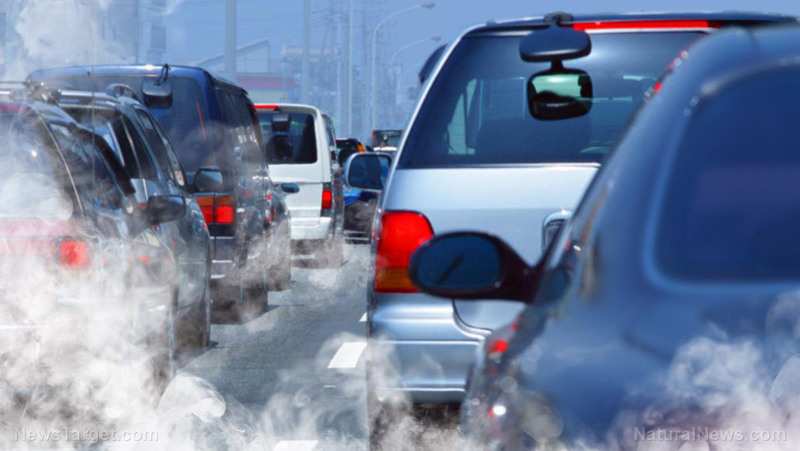 Through the study, the researchers discovered that primary pollutants, or pollutants that are emitted directly from a source like car exhaust, were linked to increased ED visits for both cardiovascular and respiratory diseases. Earlier studies on the negative effects of air pollution on public health were often conducted on a single-city level. However, this study analyzed pollution across five cities: Atlanta, Birmingham, Dallas, Pittsburgh, and St. Louis. For the study, Krall et al. examined possible links between cardiovascular- and respiratory-related ED visits and twelve major air pollutants to examine short-term changes in health since pollution will vary on a daily basis. By examining air pollution levels in the five cities, the researchers had the chance to know more about how the associations hold in general, rather than for individual cities. The study is one of the first multicity studies to analyze multiple air pollutants, such as gases and particles, and multiple causes of ED visits, like for asthma and stroke. This is also a larger and more comprehensive study than previous research which often observed a single pollutant and multiple health outcomes, or multiple pollutants and one health outcome. Krall concluded that the study can eventually help shape how the scientific community and the public determine future pollution regulations, especially since regulating pollutants could differ between primary and secondary pollution.